Very little healthy in jerky except a little protein. It's loaded with sodium. Of course if an athlete sweats a lot, it could be beneficial. Otherwise, nada. Not sure what part of "minimally processed" you missed. And a "little protein"? It has more protein than most high protein bars and mixes on the market in serving comparison. Yes it has sodium but the local company is doing "minimally processed" for a reason. Jerky is listed by most men's and women's bodybuilding and weighting sites as the high protein snack you should be eating now that the meat and processing has gotten better. Plus they aren't living on the stuff. It's a snack. And a protein boost at that, and for athletes that spend a lot of time in the weight room and other exercising that can be important. For a couch potato who's idea of exercise is getting up to get a beer store bought jerky isn't good for you. And neither is just about every other "snack food" out there. These are athletes who burn through several thousand calories a day. If our nutrition and HES dept (who BTW are consulted on everything that our SA's receive) say it's ok I'm going to defer to them since they are the experts. My response comes from people in the HES dept and in athletic nutrition, just FYI. Why would we want the opinion of nutrition "experts" when we have NewApp? We, as fans, never want to see our guys go down to injury, especially season/career ending ones. Seeing #25 go down was like a punch to the gut. So to take a page from Jalin, who GAVE HIS ALL, I'm soliciting to all App fans to make a $25 contribution in #25's honor. This fundraiser was originally set up for S&C and anyone who saw JM shake off and run over defenders knows he took S&C seriously. However, I feel a contribution to any of the following funds: A Mountaineer Impact, Yosef Club and/or the S&C fund (see directions below) made in Jalin Moore's honor would be the least we could do to pay tribute to a terrific young man and player "Who Gave His All for Appalachian". Please join me in paying homage to #25 Jalin Moore! 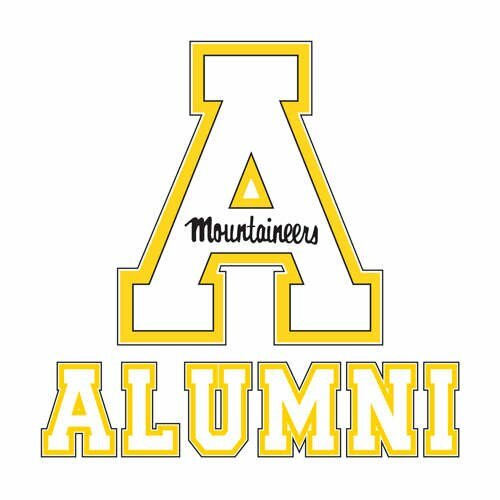 Make checks out to the Appalachian State University Foundation, Inc. and include Fund #92809 (Strength & Conditioning) in the memo. Monday - Friday, 8 am - 5 pm ET. Have your credit card info and the Fund # ready. Now for the online. Below is a link to the main "Give Gift Now" page. There are two ways that you can go once on this page. You can put your dollar amount in the box at the top of the page, click the circle next to "Other Fund not Listed (Designation box below/ simply type fund name)" and in the "Other Designation" box put "Strength & Conditioning Fund #92809" (it says just put the name in but I add the fund # just to be sure), and click "Save and Continue" at the bottom of the page. You can also click the circle beside "View additional funds (by College/Area) or select multiple designations" after which a box will appear, start typing "strength" in the search box, and Strength & Conditioning will show. Click the square beside it and click Continue. At that point an empty dollar box will appear and a % box that already has 100% filled in. Enter the dollar amount and the click "Save and Continue" at the bottom of the page. From there it's just a matter of following the directions and giving your information. Check is in the mail today. Thank you #25! Just made the online donation to S&C #92809 in honor of Jalin. Great idea to create something positive out of Jalin’s injury. Done! Thank you Jalin for everything! Wow. This thread has been going since Friday April, 29, 2016-- December 31, 2018. Anybody know the total amount of funds that have been raised during this time period? It has to be phenomenal. Firemoose has done a great job. And this is part II. SA. I was going by the usual jerky found in most stores. Actually I don’t understand what you are saying. Yours is part of part II.